Glitterbelle is a new princess from Parragon books who loves to sparkle. The range of Glitterbelle books includes a story book and various activity books. We received a couple of activity books for Miss M to try out and they didn’t disappoint. Beautifully designs and excellent quality have meant they have been a great hit with us. 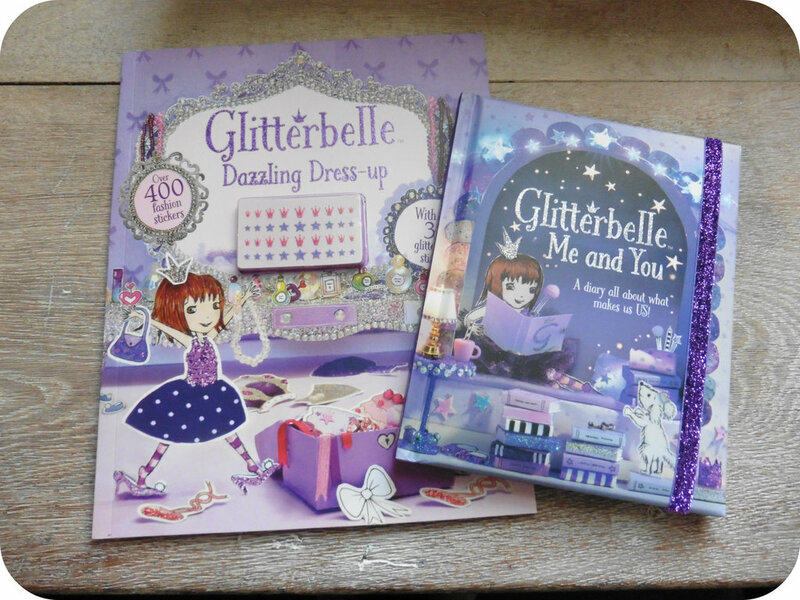 The Glitterbelle Dazzling Dress Up book is a really lovely combination of a story along with a sticker book, in which you dress up Glitterbelle and her friends Dazzlina and Angel in different outfits on each page depending on what’s happenning in the story. There are four pages of very pretty, glittery stickers in the centre containing all the outfits they need from dresses, skirts, tops, trousers, shoes and lots of other accessories. This is a really lovely dress up book that I’d highly recommend. Glitterbelle Me and You is a lovely padded covered book with a purple, glittery elastic strap to keep the book closed. It is in face a diary, a place to write your secrets, answer questions, list your favourite things etc. The diary has full colour pages prompting you with things to write, boxes to tick and documenting facts about you, such as pets, hobbies and best friends. This diary is perfect for Miss M who is 7 as she loves writing little things down and this keeps her occupied independently. She keeps it by her bed and likes to fill in a few bits at bedtime. She also loved the dress up book with the stickers and again could enjoy it competently on her own, reading the story as she went so she knew which outfit stickers to use on each page. I think these would make a lovely gift for either a young girl who could do the activity books assisted by a grown up or for a slightly older girl of around 6 or 7 years who can enjoy them independently. I love the Glitterbelle range of books from Parragon, why not take a look and see what you think? All reviews are my own and my family’s opinions and we received the books in order to write the review. 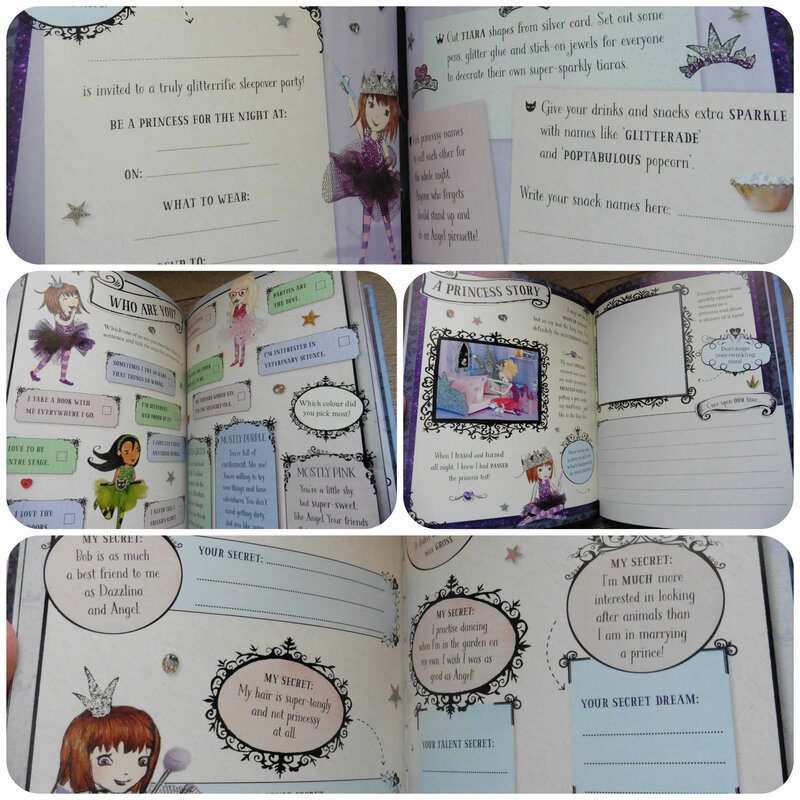 This entry was posted in Reviews and tagged activity books, books, diary, glitterbelle, parragon, princess, stickers by Fiona Martin. Bookmark the permalink. Indeed! I’m keeping the journal till my daughter is a bit older. She totally love the activity stickers book where she dress them up. Lovely book for girl.